Where To I Do | TV, eh? 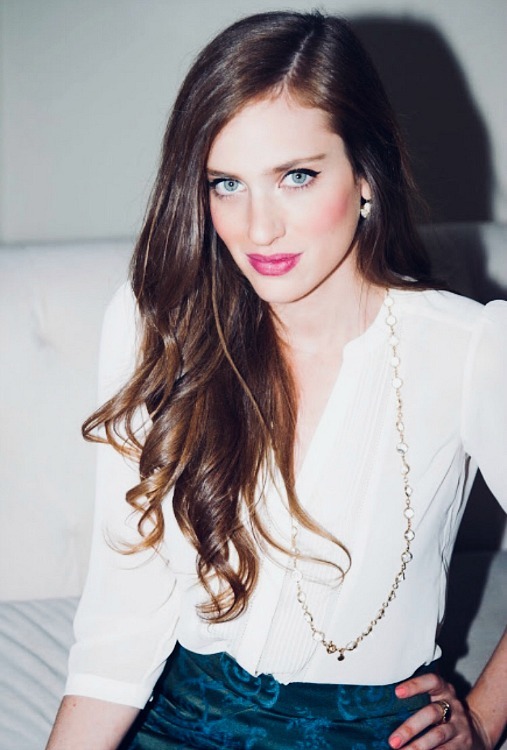 At just 32, Jessica Nahmias is a successful, respected unscripted TV producer who has worked steadily in L.A. and Toronto since she graduated from grad school in 2009. She originally envisioned herself as an entertainment news reporter, but after a few chance opportunities, she ended up behind the scenes and has made a name for herself working on a list of high-profile reality television shows. Her CV reads like a reality television lover’s dream: producer on The Bachelor; The Bachelorette; Bachelor in Paradise; Love at First Kiss, the TLC show where strangers kissed with the hope of finding lasting romance; and Yours, Mine or Ours, the Bravo (U.S.) series where cameras follow couples moving in together. Most recently, she is working on Where to I Do?, for Gusto, a series that focuses on helping couples find their perfect wedding venue. On this show, she’s a triple threat as series producer (showrunner), director and overseeing story in post-production. Season 1 is re-airing beginning in July, and Season 2 is now in production. Viewers have more reasons than ever to say “I do” to Gusto this spring, with the brand-new original series WHERE TO I DO? airing Thursdays at 8 p.m. ET/5 p.m. PT, beginning May 17. The series is the first to come out of the previously announced partnership between Bell Media Studios and Motion Content Group, and has already been renewed for a second season. WHERE TO I DO? debuts this fall in Québec on Canal Vie. The eight-episode, 30-minute series is hosted by Canadian property and design expert Tommy Smythe (THE MARILYN DENIS SHOW), as he helps couples find their perfect wedding venue. Whether they’re ravers looking for a party, entrepreneurs looking for high-end glamour, or young lovers looking to keep things simple, Smythe takes each couple to three unique spaces where their fantasy wedding could be realized. From a medieval castle to a rustic country barn, and from a chic rooftop bar to a trendy downtown mansion, Smythe uses state-of-the-art, 3D graphics to bring each space to life and help the couple decide which venue is the perfect fit for their dream day. With the decision made, each episode culminates with a wedding-day reveal of the chosen venue. In the first episode, premiering Thursday, May 17 at 8 p.m. ET/5 p.m. PT, romantic bride Tamara and rave-loving groom Paul are on the hunt for the perfect wedding venue. Renovating a fixer-upper and planning a wedding at the same time has proven challenging, especially since they both want a short six-month engagement. To add to the complications, the couple have very different visions for their big day. Tamara wants a whimsical day with simple décor and a beach feel, while Paul wants industrial, high ceilings, and lasers. On their quest to mix romance with laser beams, Smythe takes the couple to visit prospective venues in Toronto, Art Gallery of Ontario, District 28, and The Thompson Hotel Rooftop. WHERE TO I DO? is a co-production between Motion Content Group and Bell Media Studios. Martin Oxley is Executive Producer for Motion Content Group.